Over the last couple of years, for example, an increasing number of enterprise resource planning (ERP) vendors have jumped into the transportation game. Led by companies like , this trend opened the doors for more shippers to use TMS as part of their overall enterprise solutions—rather than having to purchase separate software applications from different vendors. And finally, we saw more attention being paid to transportation execution management as shippers sought out new ways to tender and execute freight loads in the most optimized, efficient manner possible. Will these TMS trends continue in 2017? And what new trends and opportunities will emerge over the next 12 months? To get some answers, Logistics Management spoke with three of our top supply chain software analysts, asking them what they saw transpire in 2016 and what they see for the year ahead. 1.) Software that offers better end-to-end supply chain visibility. For decades, shippers and vendors have envisioned a time when freight could be tracked on a 24/7/365, real-time basis as it moved around the globe. Whether the shipment was in a truck sitting out in yard, on a container ship on the way to the United States, or loaded up on a truck for a last-mile delivery, shippers would know where the goods are at any given time and be able to share that information with their customers and business partners. According to , research director for , we’re almost there. 2.) Higher TMS adoption among small- to mid-sized companies. Historically, TMS adoption rates for smaller shippers has hovered in the 10% range, according to De Muynck, while about 25% of medium-sized firms and 50% of large organizations used the application to manage their freight activities. These adoption rates are now rising thanks to the fact that most TMS is now available in the Cloud and on a subscription-based model. “Recently, we’ve seen about 15% growth in TMS usage within small- to mid-sized businesses market, with some vendors reporting more than 20% growth for that market,” says De Muynck, who attributes these increases to the fact that TMS is now within the grasp of much smaller shippers. 3.) The “Uberization of freight” drives shippers to invest in transportation execution management systems. 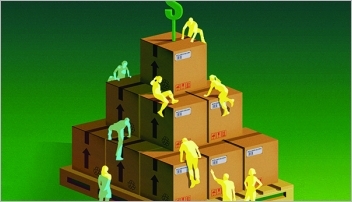 What happens when you take TMS, put it on steroids, and unleash it on today’s supply chains? You’d likely wind up with a transportation execution management system that’s able to orchestrate multi-party, multi-tier transportation activities across supply chain partners. 4.) The upper end of ROI is increasing for TMS. 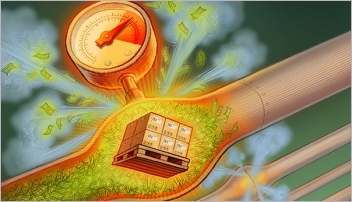 When ARC Advisory Group surveyed shippers six years ago to find out what their typical return on investment was for a TMS investment, it found that the solutions reduced overall freight spend by about 5% to 8%. The same companies told ARC that their freight spend would increase from 5% to 10% or more if they were forced to give up their TMS and go back to more manual processes for planning and execution. In most cases, Banker says those lower freight costs come as a result of better decision making (gathering data for better procurement engagements), process enforcement (helping to ensure that the best carriers on a lane are selected for specific moves), and optimization of transportation activities. Fast forward to 2017 and Banker says that TMS has not only maintained its reputation for delivering on ROI expectations, but that those returns inched up a bit over the last six years. Today, Banker says most users experience about 5% to 10% freight cost reductions after implementing TMS, with the higher end of the scale increasing by at least two percentage points. 5.) Cloud comprises a larger and larger portion of the TMS market. 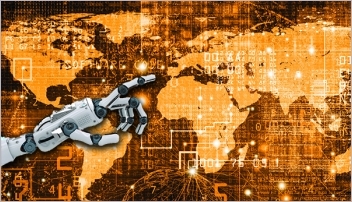 As one of the first supply chain applications to make its way into the Cloud, TMS continues to shift from being an on-premise/installed solution to a web-based platform where shippers, business partners, carriers, third-party logistics (3PL) providers, and even customers can access pertinent information via the web on a 24/7/365 basis in real-time. Expect this momentum to continue through 2017 as more companies adopt Cloud solutions and as more vendors develop new—and hone existing—Cloud-based TMS solutions. 6.) The “indirect” approach to transportation management gains traction. 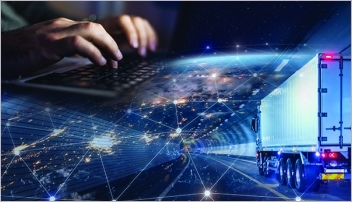 Transportation management solutions have been around for a while, but the most recent survey of Logistics Management readers shows that just 35% of shippers are using these systems as part of their overall supply chain management strategies. These adoption rates may seem low for a solution that’s been proven to reduce freight costs in the double digits, in some cases, but there could also be something else at work here. “When we look at adoption, we don’t always factor in the number of shippers who use their 3PL’s technology solutions,” Sethi points out. By equipping themselves with state-of-the-art supply chain applications—and then offering them out as part of their overall logistics management packages—3PLs take the pressure off the shipper that needs better end-to-end supply chain visibility. As he looks back on 2016 and makes his predictions for TMS for the coming year, Banker says the push to achieve real-time visibility across the supply chain will continue to drive transportation-related software adoption and usage. To meet the needs of the market, software vendors will be undoubtedly be sharpening their own pencils and coming up with new ways to help their customers work smarter, better and faster. Mobile applications, for example, will continue to work their way into the TMS equation.